With Google investing in autonomous vehicles, it has been rumoured for a while that Apple is looking to follow suit. An easy and cost effective way for Apple to enter the market would be to purchase an already existing company. Analyst Jason Calacanis, angel investor and entrepreneur believes Apple is seriously interested in purchasing Tesla to the tune of $75 billion. He also believes the merger will happen within the next 18 months and would not be an acquisition. 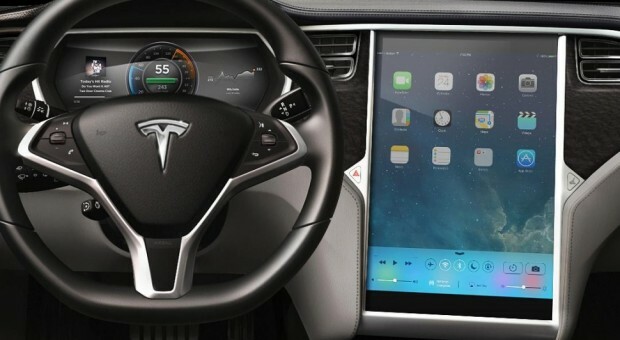 Tesla currently uses Apple technology in its Model S sedan. Currently, Tesla’s worth has a market cap of $25.5 billion. Apple’s market cap comes in at $740 billion. Tesla’s outspoken owner Elon Musk has yet to comment on the possible deal, however he has said in the past that it is “very unlikely” that he would ever sell Tesla. Then again the extra $50 billion would be tough for anyone to pass up. It’s expected that if Musk does sell Tesla, it would likely happen before the Model 3 makes it to production, which should come within the next 18 months. What do you think about Apple’s possible entry into the automotive fray? Do you think Tesla would be the best fit?